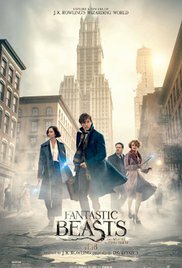 Quite literally fresh off the boat to the States, writer Newt Scamander (Eddie Redmayne) finds himself caught up in prohibition era New York’s secret community of Wizards and Witches whilst on a quest of his own to learn about some of the magical beasts of North America. Crossing paths with non-maj Jacob Kowalski (Dan Fogler) and sisters Tina and Queenie (Katherine Waterston and Alison Sudol) the game is afoot to find some of Newt’s escaped beasts, meanwhile a darkness that seems to be encroaching into New York may or may not be related to what Newt is seeking. Setting things right before it’s too late is of the utmost importance. Directed by David Yates and written by creator J.K. Rowling this setup of the U.S. magical world falls in perfect lockstep with what Harry Potter fans have already come to accept as “normal” and to that end works as an abbreviated primer in wizardry and magical creatures. Following Rowling’s formula of several short stories with an overlaying arc this series appears to be no different, who says’s lightning doesn’t strike twice? Fans will clearly find the love they seek in this latest installment; although, Redmayne’s coquettish performance as Newt does seem rather close to several of his standout performances from last year, and Collin Farrell’s performance as the dark investigator Graves is almost as type cast as they come, it’s hard to fault an actor for having a niche, but, one would hope they do have to stretch from time to time; alas, this does not rob the film of its charm, the fantasy continues, as will the success no doubt. Fantastic Beasts and Where to Find Them is rated PG-13. Re-telling the story of World Champion Boxer Vinny “The Pazmanian Devil” Pazienza (Miles Teller), who’s return to ring after a near fatal car crash would become legend in the boxing world. Guts, spirit, inspiration, and a little bit of crazy would go a long way, but would it go too far for Pazienza, this is his story. Written and Directed by Ben Younger, the wellspring of inspirational sports stories seems far from dry in this classic fairytale of the comeback king, and for fans of the seedy underbelly of organized boxing no sweeter tale can be told. 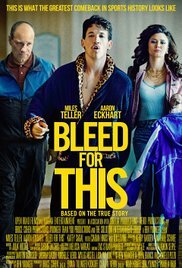 With ingredients including one part every Italian family dinner scene you’ve ever seen, two parts Rocky Balboa, a dash of Foxcatcher, and a pinch of Evander Holyfield’s ear (not really), you’ve got Bleed for This with a large and colorful ensemble with particular standouts from Teller and Aaron Eckhart as trainer Kevin Rooney. And, even though the genre isn’t exactly challenged by this story, there’s still a charm and allure that will land enough punches for the win. Bleed for This is rated R.
Always the outsider, Nadine (Hailee Seinfeld) is experiencing the uncomfortable years of her youth as many have, in the most awkward and painful ways possible. Dogged by her brother Darian (Blake Jenner), supported by best friend Krista (Haley Lu Richardson), and mentored by history teacher Mr. Bruner (Woody Harrelson) Nadine’s future is uncertain, navigating boys, parents, school and life, learning to adult is just the beginning, will she make it out of this alive? Written and Directed by Kelly Fremon Craig this intensely piquant dramatic comedy explodes like firecrackers in an unsuspecting classroom, sharp, fast, and brilliantly disrupting to create a modern day 16 Candles; John Hughes would be smiling. Cast perfectly, the entire ensemble shines, but the dynamics between Harrelson and Steinfeld send the film into comedic overdrive. This sweet Schadenfreude down memory lane will easily leave audiences fondly remembering their own grievances of a misspent youth. Hilarity ensues! 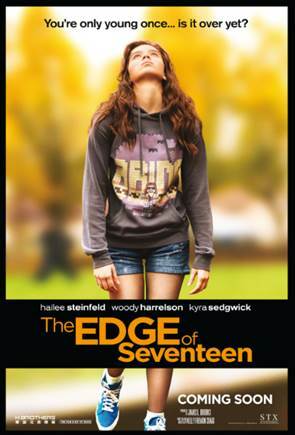 The Edge of Seventeen is rated R.